There's a time and place to cry in sports and it's not in the middle of the game, says a sports psychologist behind a study that found tears are accepted on the field, with caveats. Soccer star Neymar faced sharp criticism when he recently dropped to his knees and wept on the football field. But a sports psychologist says that it's okay to cry — as long as it doesn't happen in the middle of the game and threaten to break your focus on the competition. Jesse Steinfeldt, an Indiana University football coach and former player himself, encourages his players to express their emotions — but on the field, it's all about regulating emotions and pushing toward a forward-thinking mentality. "In those heightened emotional moments your body is going to move in the direction that it normally would move, right? If you are feeling really, really down, your body is going to move you in that state where you kind of have an emotional wave coming over you," Steinfeldt toldThe Current's guest host Duncan McCue. "So if they can normalize that emotional wave, something physiologically that happens, they can do a better job of not being washed away in the riptide by it." 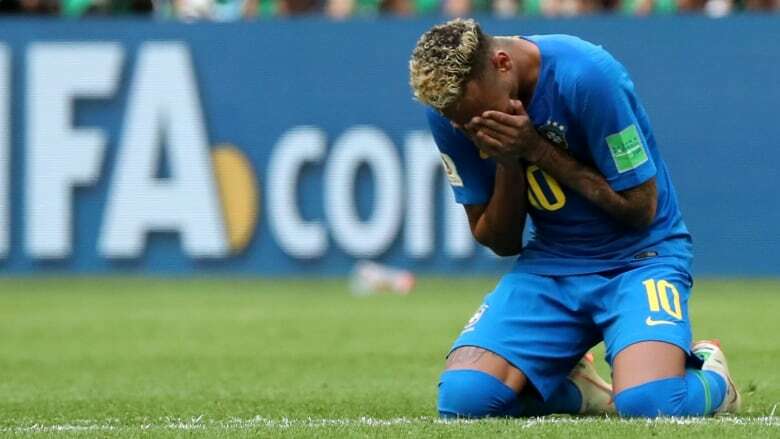 There were some who considered the sight of Neymar weeping after last week's win in the World Cup match between Brazil and Costa Rica a positive. "Crying is a good thing," Brazil's captain Thiago Silva told The Associated Press. "He needed some relief. He took a heavy load off his back," he said. ​Steinfeldt was part of team behind a study that showed football players videos of athletes crying, then gauged their reactions. Researchers found that players were sympathetic about their peers crying in sport in some situations, but not in others. "If you are going to cry tears of celebration, those are more acceptable than tears of defeat," Steinfeldt explained. Players were more receptive when players held their tears until after a game had finished, rather than during play. Body language also played a role in how players reacted. "Shedding some tears versus an uncontrollable sobbing is more acceptable as well. So there are still limits," he said. 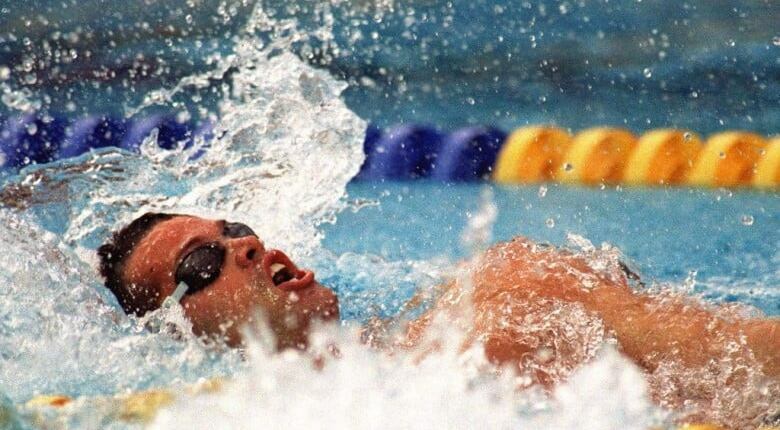 Olympic gold medal-winning Canadian swimmer Mark Tewksbury learned pretty quickly at an early age to put on a game face in the world of sports. "You've got to toughen up. That's just part of what the game is," he said. That lesson in stoicism was called upon at Tewksbury's very first international competition in Tokyo when he was 17. At the time he was considered a shoe-in to win but slipped on the block and lost his shot at a medal for his team. "I was so stunned, hurt, ashamed. I hid. I went to the back of the pool where no one could find me," he recalled. "I didn't want to face my team. I'm lucky to have a coach that found me and said, 'you know you're allowed to mess up once — that was your once.'" While Tewksbury is not one to cry in front of crowds, he does recall shedding a tear at the Barcelona Olympics when he heard the national anthem playing as he stood to accept his gold medal win at the podium. "I was overcome by emotion. I mean, I think that's a really natural, authentic thing." He argues it's that legitimacy that is missing in the "theatrics" of the World Cup — what he calls a disingenuous display of emotion to get a few seconds of attention during the game. When it's a genuine moment, spectators aren't being played but moved, Tewksbury told McCue. "When you're seeing somebody like Gretzky cry at the end of a career in Edmonton, [it's] very sincere." Listen to the full conversation near the top of this web page. This segment was produced by The Current's Jessica Linzey, Samira Mohyeddin and Allie Jaynes.